← Is “Mr. Cranky Pants” the Future of US Tennis? Looking at this picture is a trip. Every baseball fan knows that Pete Rose never played for the Padres, so why the hell is Charlie Hustle wearing a Padres cap? Just one day after I posted about the history of the Padres “Taco Bell” hat, out comes Pete Rose rockin’ it. So, what’s the story? I stumbled upon the pic on 90 Feet of Perfection. I guess the description of the picture said Rose “had to wear the cap for sizing during a portrait.” I don’t even know what the hell that means. A portrait? Sizing? He didn’t know his hat size at that point in his career? 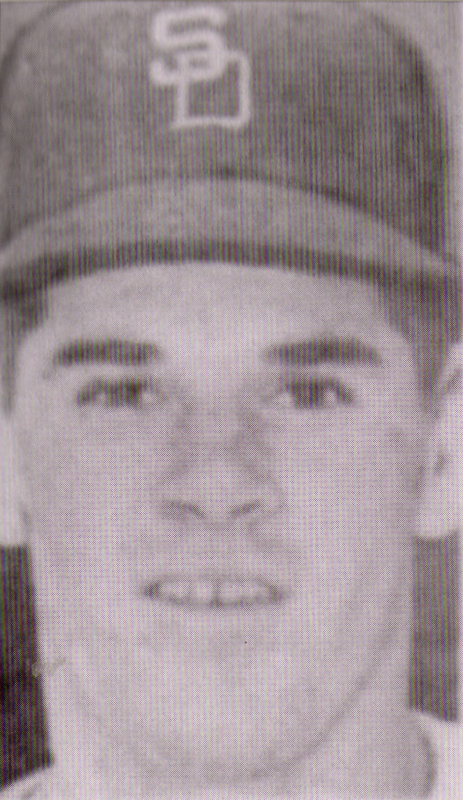 Is there an archive somewhere with gobs of MLB players all wearing Padres hats even though they never played for them? This photo looks to date in the late 1970’s, and we know Rose was on the Reds, or possibly the Phillies if it was 1979. 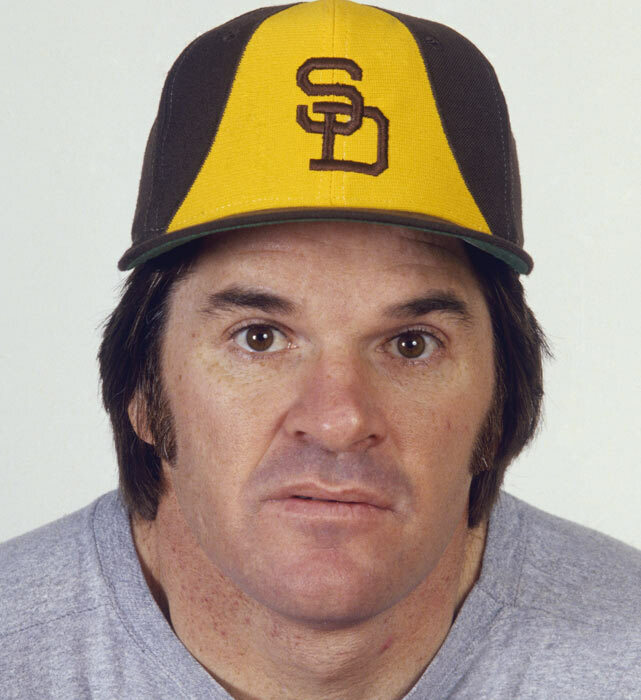 Here’s a fun fact for you… Pete Rose did play for the Padres…kind of. Pretty cool little bit about Rose and the Padres, right? Even though I’d never seen those above pics, I’ve always associated him with the Padres. 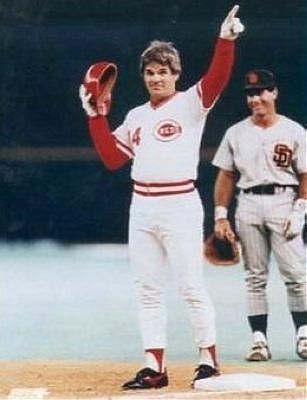 Here’s why: On September 11, 1985, Pete Rose passed Ty Cobb’s career hit record and officially became “The Hit King.” A sellout crowd at Riverfront Stadium and a national television audience watched Rose hit a first inning line drive on a 2-1 slider from Eric Show for hit No. 4,192…and there’s Garvey, all smiles. Ready to get personal? 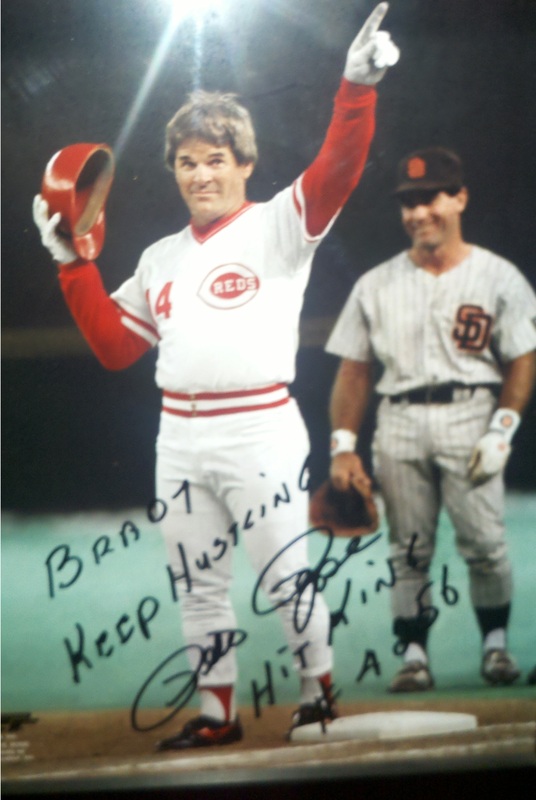 Thanks to my boy, JayDub, who got that Pete Rose “hit king” picture above autographed for me at a show in Vegas. It’s up on the wall in my home office. JayDub called me to ask if I wanted him to write anything on it. I immediately told him what I wanted. So there it sits on my wall: “Brady, Keep Hustling”. Get it? Charlie Hustle? A gambling hustler? Brilliant. Horrible glare on the picture below, but you get the idea. Love it. This entry was posted in Baseball, MLB and tagged Baseball, Charlie Hustle, hats, hit king, Major League Baseball, MLB, Padres, Pete Rose, pete rose padres, Phillies, Reds, San Diego, San Diego Padres, taco bell hats., taco hats. Bookmark the permalink.